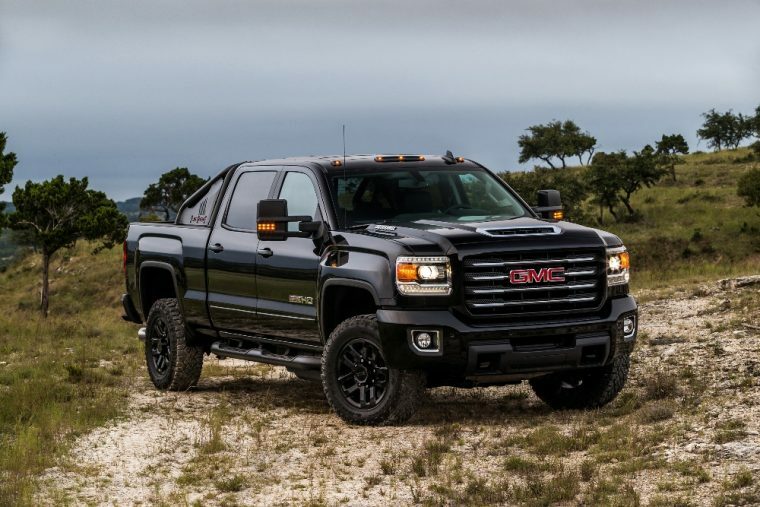 Looking to compete with the likes of the RAM Power Wagon and Ford F-150 Raptor, GMC has announced the third member of its limited-edition All-Terrain X series, which comes in the form of the 2017 Sierra HD All Terrain X. 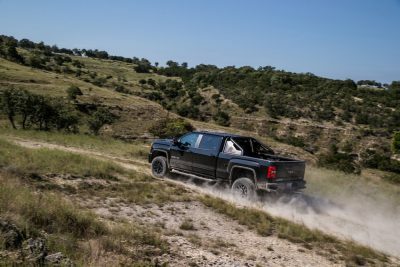 Coming standard with the Z71 off-road suspension and LT275/65R18 Goodyear Duratrac MT-rated tires, GM says the new Sierra HD All-Terrain X is the most off-road-capable truck currently offered by the American automaker. The other two All-Terrain X models available are the GMC Canyon All Terrain X and Sierra 1500 All Terrain X. The 2017 Sierra HD All Terrain X will only be available in crew cab format and with four-wheel drive. However, consumers can choose between a 6.0-liter gas-powered V8 engine and the new 6.6-liter turbo-diesel V8 motor. In case you haven’t already heard, that new turbo-diesel is good for 445 horsepower and 910 lb-ft of torque. The exterior of the new Sierra HD All Terrain X will come standard with unique 18-inch black painted aluminum wheels, LED lamps, and a distinctive body-color grille surround with an All Terrain insert. Engineers were not conservative either when it came to designing the interior for the newest ALL Terrain X model. That’s because the cabin comes standard with leather-appointed seats, wireless charging, heated front seats, and a heated steering wheel. In addition, this new GMC truck also comes with a remote-locking tailgate, Teen Driver technology, and the GMC IntelliLink system with an 8-inch color touchscreen. Consumers who are interested in finding out how much this limited-edition truck will cost have to wait since the company still has not disclosed pricing details.